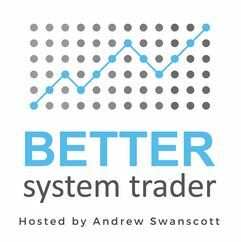 Andrew Swanscott has one of the best podcasts on trading out there. He has brilliantly interviewed world trading champions, legends such as Van Tharp, Larry Williams, Jerry Parker, Perry Kaufman etc. In each episode, there is a nugget of wisdom. 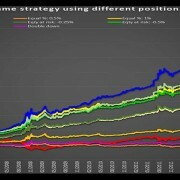 One word of caution though: Better System Trader is more addictive than chocolate. It was an honour to be interviewed on episode 32. With the recent “soft patch” in global markets, Andrew decided it was time to catch up and go deeper into topics such as psychology. Markets are stressful on the long side already. On the short side, pressure is something else entirely. Sherlock Vs the Red Queen: why people fail at short selling ? You will understand the trappings in which people coming from the Long side fall. This topic has never been approached from a statistical perspective. What are your sticking points ? Great interviews! What about Einstein and monkeys, and the importance of Chuck Norris? The first installment of the interview happened as the market was tanking. It was discarded because of poor audio quality. At that time, there was a lot of chattering on the bear market, central bankers out of ammo and so on. Since then every time there is a “soft patch”, central bankers fly to the rescue of the markets. They believe that the best cure for hangovers is free shots on the house. This time is no different, they are experimenting on a global scale something untested. I got badly hurt in that squeeze too. So, no, there is no reason to be afraid. And if all fails, they have Chuck Norris on speed dial. Now, even Chuck Norris’s track record is afraid of Chuck Norris, because he beats his own track record senseless. So, when Chuck Norris is appointed chariman of the FED, he will beat the grizzliest bear market. The problem is not this bear market. The problem is once CHuck retires to his ranch after saving the world (again), that he goes back to sowing and knitting, then what ? One day, they will ear a deaf click and it will stop working. That is one thing to have some brakes or something to slow the descent, that is something else to have nothing that works anymore. Bottom line, I am worried about the bear market after this one when no conventional, unconventional, experimental tools work anymore. @Quora: In trading, how can I stop getting emotional? In investments, does more risk really equal more return, in the long haul?